Do you have an upcoming surgery and want to get back to your routine as quickly as possible? Or, are you recovering from an injury and don’t have the time to sit on the sidelines? If so, then one of our Recovery Products might be right for you! Your body doesn’t distinguish between healing after a cosmetic procedure or after a routine surgery. Surgery causes stress to your body both emotionally and physically. After physical injury, cells are recruited to the injured site to begin the repair of damaged tissue. Unfortunately, the result of this well-choreographed process can be bruising, pain, inflammation and swelling. While not visible, surgery also promotes the production of free-radicals which in turn can harm cells. To support healthy recovery, you’ll need several key nutrients, including carbohydrates, protein, fat, vitamins, and minerals. If you don’t meet your body’s nutritional requirements, you may be at risk for increased bruising, swelling and delayed healing. Your first line of defense should be to follow a healthy diet. However, given the increased demands on the body after surgery or injury, the best way to ensure you’re getting what your body needs to facilitate recovery is by supplementing with select vitamins, minerals, and botanicals. A number of nutrients play a role in healthy recovery after surgery. 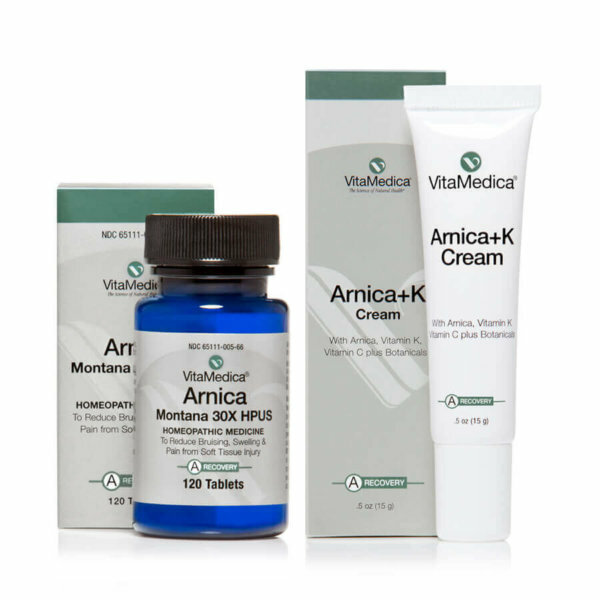 Vitamin A supports healthy cell growth and maintenance of epithelial tissue. 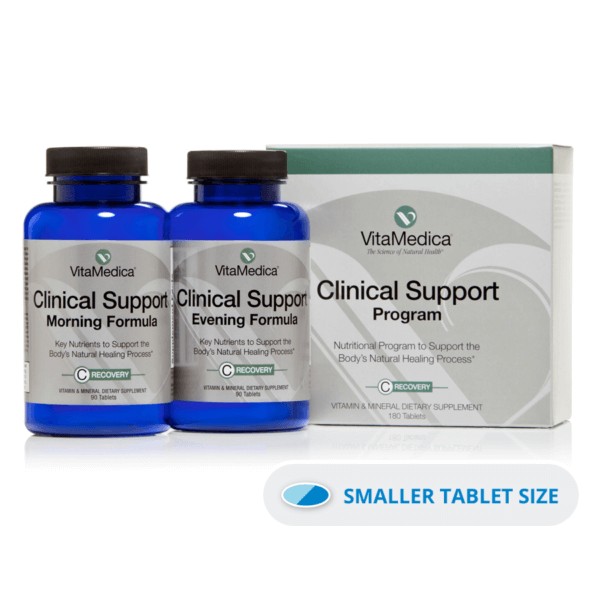 Vitamin C is an antioxidant that supports healthy tissue growth and collagen formation. 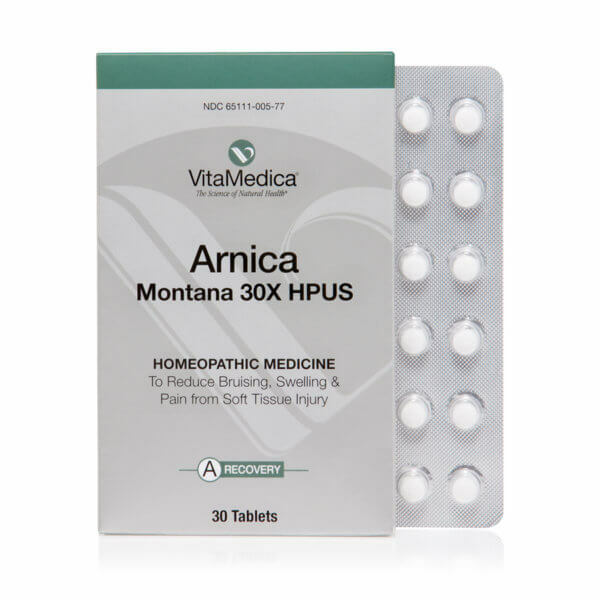 Zinc plays a key role in maintaining healthy immune function, protein synthesis and collagen formation. Selenium, bioflavonoids and other antioxidants deactivate unstable free-radicals. The B-Complex helps to moderate the stress response function during periods of physical stress. A multi-vitamin is a good way to cover gaps in your diet on an everyday basis. But, a multi is not designed to provide the extra nutrition your body needs to support healthy recovery after surgery. For example, a typical one-a-day multi is formulated with 100% of the RDI for vitamin C which is only 90 mg (about the same amount in an orange). 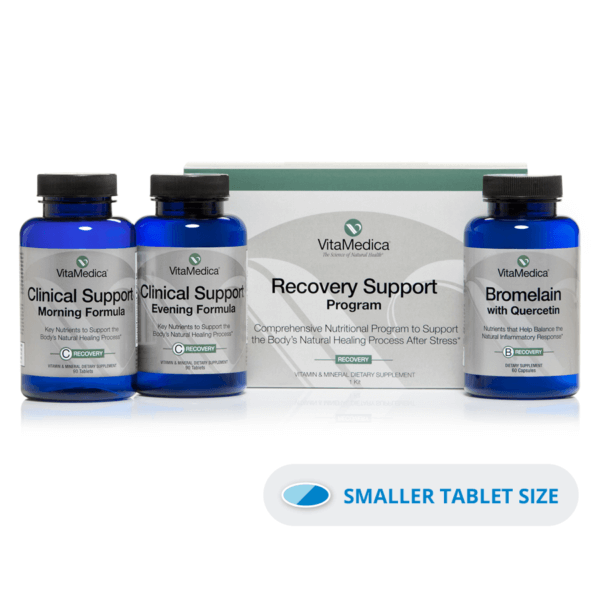 Post-surgery, your body’s demand for vitamin C is significantly increased – requiring upwards of 1,000 mg daily – to help support collagen formation and deactivate free-radicals. Why Should I Discontinue Taking My Current Supplements? While generally beneficial and safe, the use of certain nutritional supplements before surgery may not be desirable. The list includes popular supplements such as vitamin E, fish oil, garlic, ginkgo and ginseng. 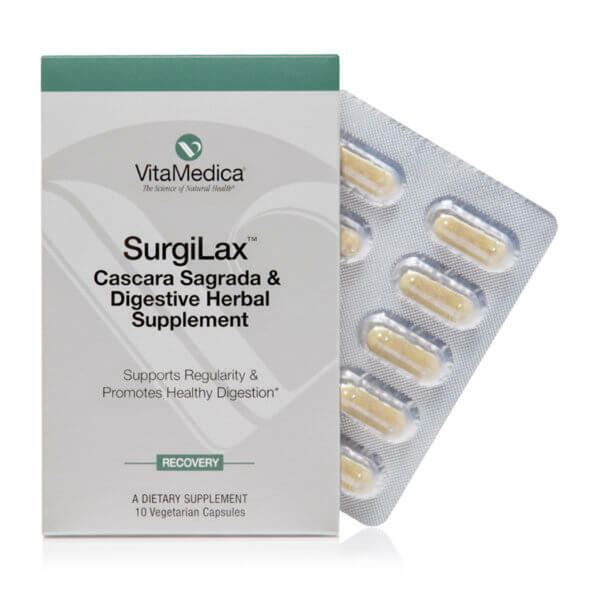 While the biggest concern is prolonged bleeding after surgery, other adverse reactions that can occur from supplements taken before surgery including interference with anesthesia, cardiovascular disturbances, and interactions with prescription drugs. 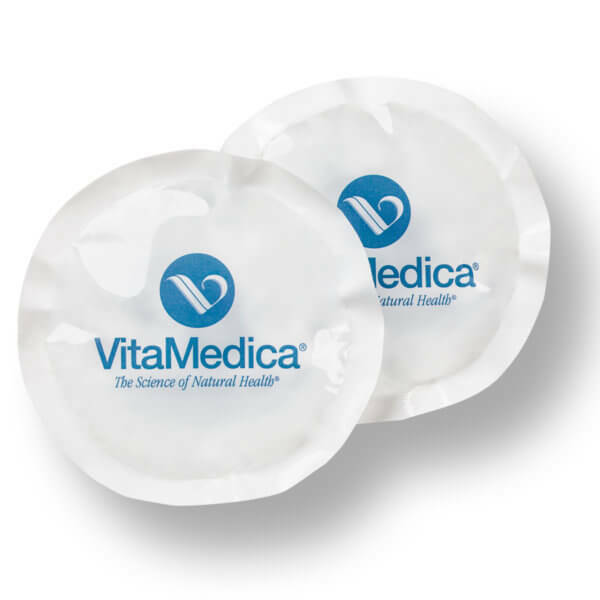 According to the David H. Rahm, M.D., board certified anesthesiologist, these supplements should be discontinued two weeks before and for two weeks after a surgical procedure. From vitamin A to zinc, the vitamins and supplements you can take to support healthy recovery after surgery will have familiar sounding names. The key is to obtain the right amount of each nutrient. 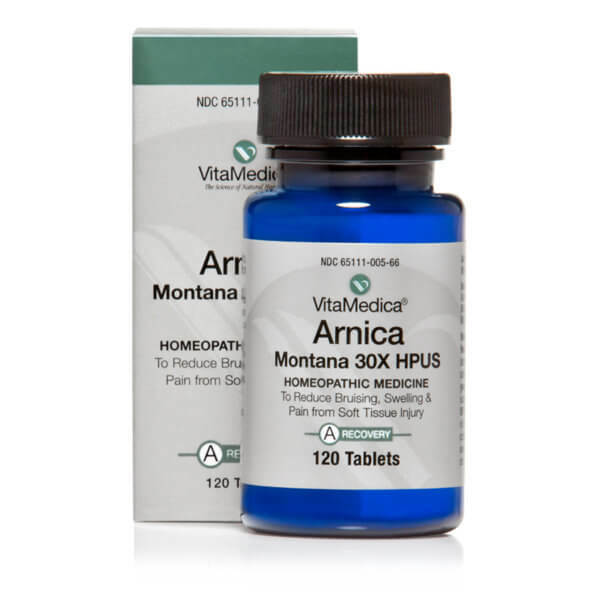 Arnica Montana is a homeopathic remedy that has been used for centuries to stimulate healing. 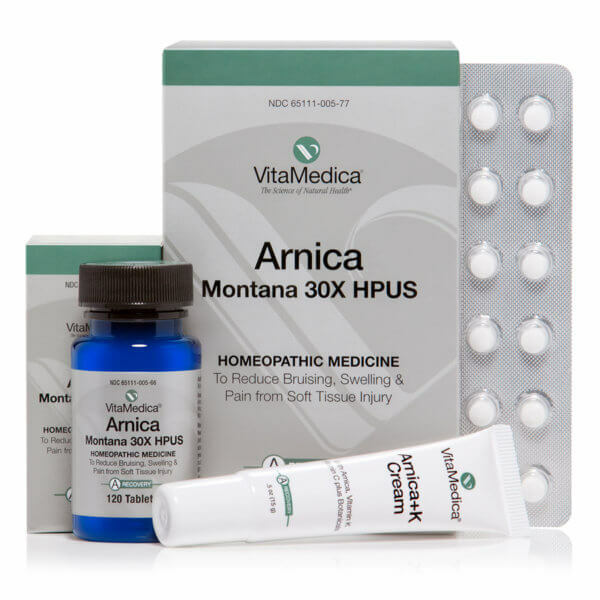 Known as the mountain daily, Arnica is used for temporary relief of bruising, swelling and pain associated with soft tissue injury. 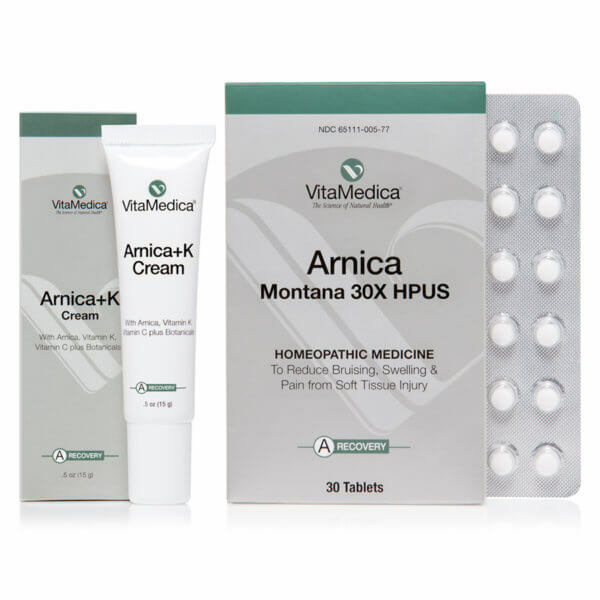 Arnica also helps to improve the appearance of post-surgery bruising. 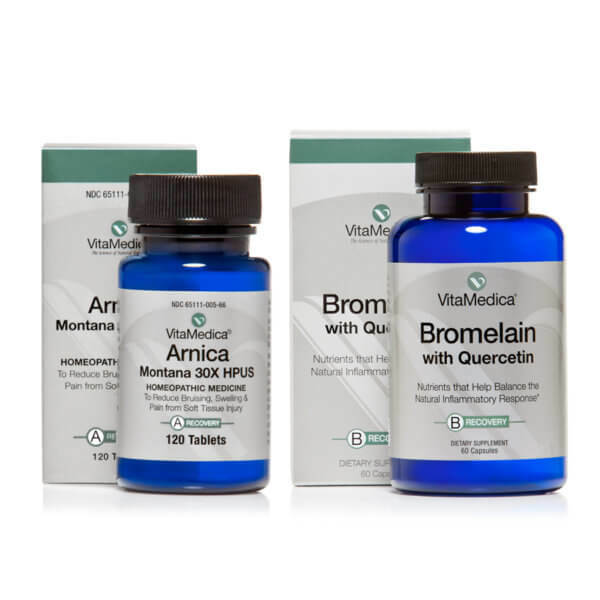 Bromelain and quercetin are botanicals that exhibit excellent properties for maintaining healthy tissue during times of physical stress and after athletic activity. 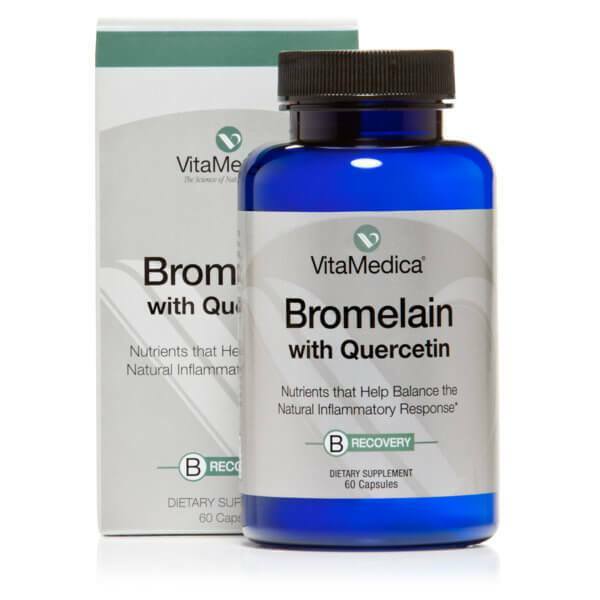 Bromelain with Quercetin is ideal for use after physical stress and athletic activity to help maintain tissue and joint health.† Click here to read more about the benefits of quercetin supplements with bromelain. What Else Can I Do to Get Back on Track? By focusing on good nutrition and taking the right combination of vitamins and supplements, you’re in a better position to be covered and in control of your recovery. Looking for other ideas on how to speed recovery? Evaluate if you’re ready for surgery and check out our 14 tips for a rapid recovery.